In a bid to keep costs and the final retail price as low as possible, Chromebooks are usually lacking in one of a few key areas: display, power or industrial design. Acer hopes to nail all three with the Chromebook 13, the first Chrome OS laptop with an Nvidia Tegra K1 processor. The hope is that this particular chipset will be both powerful and power-efficient; Acer is promising up to 13 hours on a single charge, which should keep you running for most of the day. To hit this particular milestone, you’ll need to opt for the cheaper ($279) 1,366 x 767 resolution model though – the more expensive ($299) 1080p variant maxes out at the 11 hour mark. A few manufacturers, including Samsung, Toshiba and HP have tried to improve the look and feel of Chromebooks, with varying results. The Acer Chromebook 13 is hardly an improvement, sporting a greyish-white plastic chassis, a large trackpad and a black, full-size keyboard. It’s not particularly stylish or memorable, but it doesn’t stand out like a sore thumb either. At 18mm thin and 3.31 pounds, it’s also reasonably portable for anyone who likes to keep a laptop stowed in their rucksack. 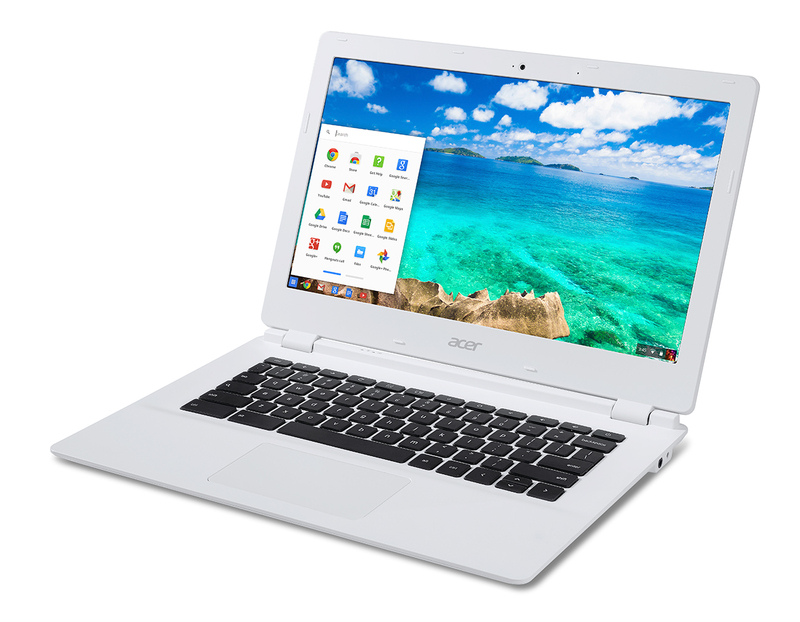 The Acer Chromebook 13 is fitted with two USB 3.0 ports and an HDMI port too, which – aside from an absent SD card slot – should cover the basics from a productivity standpoint. The biggest test will come in the power department. Chrome OS isn’t particularly labor intensive, but many Chromebooks have fallen short because of sub-par components under the hood. The Tegra K1 processor – a first for Chromebooks – is supposed to fix that though, with better performance for multi-tasking and intensive Chrome apps and services, such as Google Hangouts. The 13-inch laptop will be sold from $279; an extra $20 will reward you with the sharper 1080p display. A firm release date hasn’t been given yet, but we’ll update this page once it’s been confirmed.